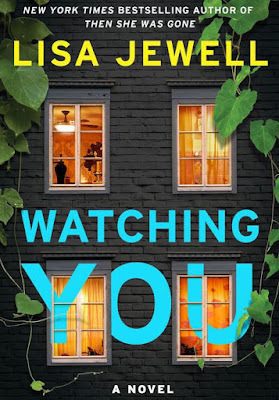 After staying up all night reading Lisa Jewel's Watching You, I had to ask myself why I hadn't read any Lisa Jewel books before. This author knows how to keep a story moving, resulting in the reader trying in vain to find a stopping point to carry out other activities, like sleep. If ever the word "gripping" should be applied to a tale, it's the very apposite of descriptors for Watching You. I've been trying to get to some authors who are new to me, and Lisa Jewel is the second such author who has struck a perfect chord with my reading tastes. Shari Lapena is the other new author I've recently connected with through her latest book An Unwanted Guest. Their stories also contain the similarity of multiple main characters to keep up with, and both are brilliant at the clarity of those characters and avoiding confusion. And, both books have two of my favorite covers from 2018 publications. Watching You begins with a prologue. I happen to be a reader who loves a well written prologue, and this one is that. You know immediately, through this prologue, that a murder has occurred in one of the "painted" houses in Melville Heights, one of the most sought after addresses in Bristol, England. But, we don't know who the victim is and certainly not why that person has ended up lying in a pool of blood on their kitchen floor. The characters who steer this story are from two camps, those who live in two of the houses in this prestigious area and a teenage girl and her mother who live just outside the coveted address. The mentally unstable mother sees pretty much all that goes on in the neighborhood, as she's suffers from paranoia that they are out to get her, but she's not the only one watching people there. It's a neighborhood rife with secrets and possibilities of a person who would kill to keep a secret. Joey Mullen, a resident of one of the painted houses, lives in her brother's (a doctor) and wife's house with Joey's hastily married husband. Joey seems to be one of the major catalysts for action, but is she? Her actions certainly create a right mess of cat and mouse with her equally married neighbor. People seem to be playing parts that cover their true selves, and it's delightfully difficult to discern who will win the prize for the biggest secret, the one that leads to murder. Pick a night or a day when you are in one of those waiting jobs, such as having plumbing work done or being without your car because it's in the shop. Or maybe not a waiting day, maybe a day when you are treating yourself to a pajama day of only doing something you want to do. Then, pick up Watching You and have a gobsmacking good read. I can't wait to dive into this one!! Excellent review! Thanks, Erica! 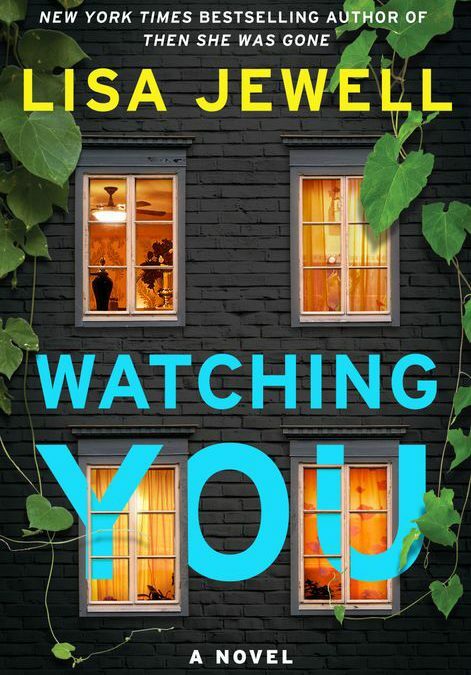 I was delightfully surprised, as I hadn't read anything by Lisa Jewell before this one. Now, I want to read more.